Since 2014 REACTing is coordinated by Inserm’s I3M Institute, which has been responsible for the scientific and the day-to-day management of REACTing. Our offices are based at Inserm’s headquarters in Paris, France. The Immunology, Inflammation, Infectiology, and Microbiology (I3M) Institute brings microbiology and infectious diseases together with immunology and inflammation. It aims to create a continuum across these research fields, and to develop a coherent strategy for tackling issues that are of daily concern to society, including the emergence and re-emergence of pathogens, chronic infections, inflammatory diseases, auto-immune disease, neglected infectious diseases, transmission, treatment resistance, immunodeficiency, allergy and transplantation. Professor Yazdan Yazdanpanah (MD, PhD) is currently the Director of the Aviesan Institute of Immunology, Inflammation, Infectiology, and Microbiology (I3M), the Head of an Inserm team on decision analysis in Infectious Diseases, the Head of Infectious Disease department at Bichat Claude Bernard Hospital, and Professor of Medicine at Paris Diderot University, France. Yazdan Yazdanpanah became an MD from the Lille School of Medicine, France in 1996, first as a hepato- gastro-enterologist in 1996 and next an infectious disease specialist in 2002. He obtained a Master of Science degree in epidemiology from the Harvard School of Public Health, Boston, US in 2000, and a Ph.D degree in public health from the Bordeaux School of Public Health in 2002. His research interests include the clinical epidemiology of HIV, viral hepatitis, emerging infectious diseases and the pharmaco-economics of antimicrobial agents. He is one of the coordinators of Inserm “REACTing ». Eric D'Ortenzio is a medical doctor, specialized in Public Health and in General Medicine. He also obtained a Master of Science in Public Health (Epidemiology) from Sorbonne University and a diploma in Tropical Medicine. 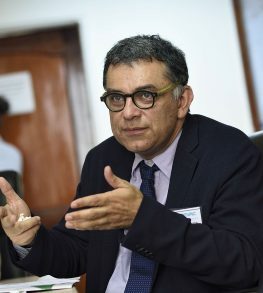 He has several years of field experience in West-Central Africa, French Guiana, Reunion Island and France, as a clinician or as an epidemiologist working for research institutes, hospitals/health centres and NGOs. During 3 years, he has led the research unit of Infectious Diseases Epidemiology at the Institut Pasteur of New Caledonia. 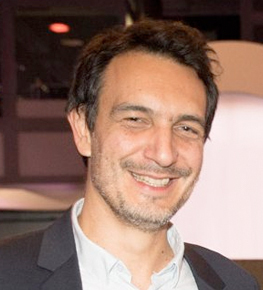 Since 2015, he is working for Inserm in Paris as the scientific coordinator of REACTing. He is also consultant in tropical medicine and migrant health in the outpatients clinic of Bichat Hospital in Paris. His topics of interest include research on emerging infectious diseases and tropical diseases. He is the author or co-author of more than 60 publications in international peer-reviewed scientific journals. 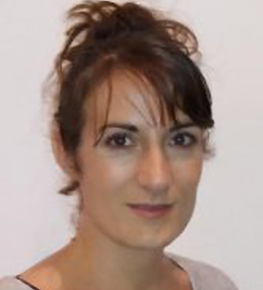 Claire Madelaine is currently Program Manager for REACTing, coordinating scientific expert working groups and projects linked to re-emerging infectious diseases. 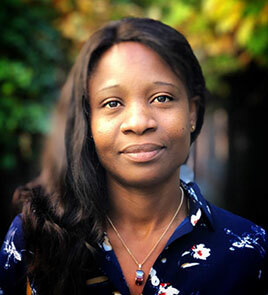 She has a background in laboratory research, with a PhD in organic chemistry from the Institut de Chimie des Substances Naturelles (ICSN) in Gif-sur-Yvette, and postdoctoral experience at the Max-Planck-Institut für Kohlenforschung in Germany. She holds a diploma in Public Health from the Université Paris-Sud. She has worked at the Institut Pasteur in Paris, coordinating research public health projects within the Institut Pasteur International Network. She also has several years of field experience with the NGO Médecins Sans Frontières in Africa, Middle-East and Europe, as project coordinator. She has a keen interest in emerging infectious diseases and neglected diseases research, translation of research-generated knowledge to better disease prevention, and outbreak preparedness. 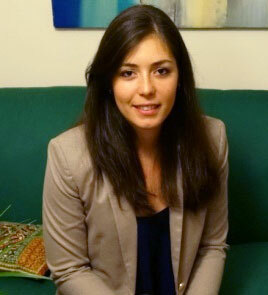 Guia Carrara is currently Program Manager for the I3M Institute of Inserm, coordinating scientific expert working groups and projects linked to re-emerging infectious diseases such as plague and ebola virus as part of the REACTing consortium, as well as projects and incentives for the control of antimicrobial resistance as part of French national research programs. She has obtained a PhD in Virology from the University of Cambridge in the vaccinia virus lab. of Prof. Geoffrey L. Smith, a Master in Virology from Imperial College London, and a Bachelor’s degree in Molecular Biology from the University of Kent. She also has experience as a Postdoctoral Research Associate leading a project at the interface of virology, electrophysiology and oncology. Her experience and interests lie in infectious diseases, virology, the regulation of cell migration, apoptosis, ion channels and intracellular calcium flux.